Before confronting any complex issue, it is important to understand the depth of the matter so you can begin to conceive and create your own unique contribution to the solution. 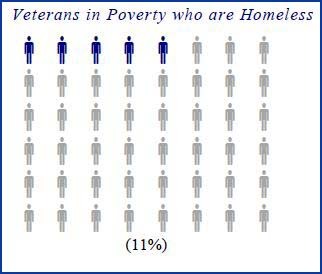 This section explores frequently asked questions, demographics and location of homeless veterans, and distills key information on the latest veterans-related reports, background on today’s military, and provide resources so you can help build your own business case to help homeless veterans. Explore "Knowledge" through the links below.